For the 2nd year running, Austria participated in the Worldwide Lyme Awareness Protest. 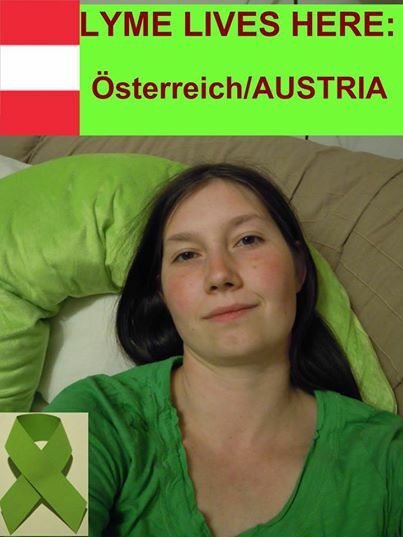 Bettina submitted this photo of herself as a one-woman Lyme demonstration at "home" in Austria. Thank you Bettina - May you be healthier soon! !